Labor market performance in the Western Balkans continued to improve, albeit at a slower pace than the previous year and despite stronger economic growth in the region. According to the ‘Western Balkans Labor Market Trends 2019” report, recently launched by the World Bank and the Vienna Institute for International Economic Studies (wiiw), about 68,000 new jobs were generated between the second quarter of 2017 and the second quarter of 2018, compared to 231,000 a year earlier. In contrast, GDP growth in the region increased from 2.5 percent in 2017 to 3.9 percent in 2018. Albania and Montenegro reported the strongest job growth in the region, with 3.3 percent each, followed by North Macedonia with a 2.1 percent increase. The majority of new jobs were created in industry and services. Women continued to be underrepresented in Western Balkan labor markets, but more than half of the employment increase benefited them. On average, regional labor markets recorded improvements in activity rates (up 0.5 percentage points to 62.8 percent) and employment rates (up 1 percentage point to 52.9 percent), but they remained far below European standards. Unemployment reached historic lows in most Western Balkan countries, falling from 16.2 percent to 15.3 percent over the last year. 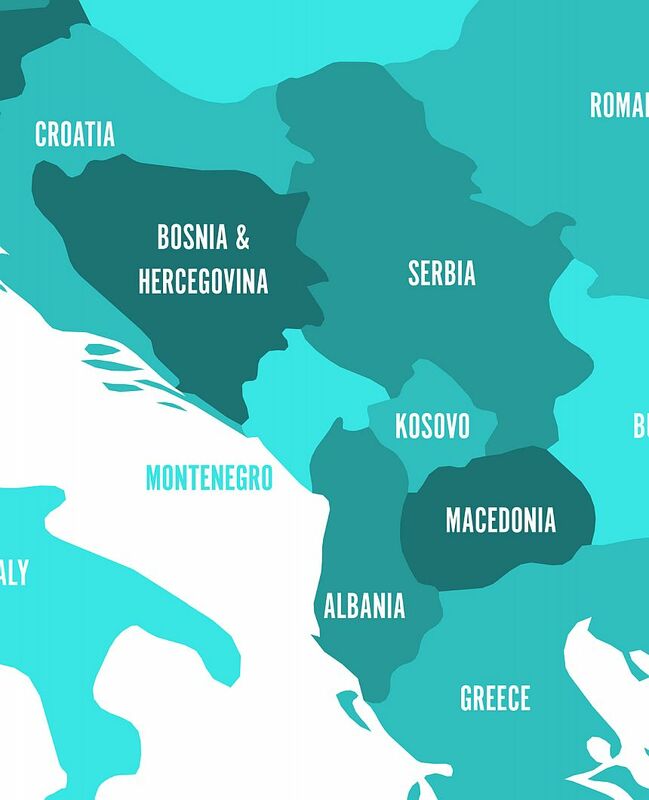 Country rates ranged from around 12 percent in Serbia and Albania to 29 percent in Kosovo. The region also experienced a substantial decrease in long-term unemployment, from a peak of 1.5 million people in 2011 to 776,000 people in the second quarter of 2018. Still, unemployment remained a significant challenge in the Western Balkans, where levels were two to three times higher than in EU peer countries. The report notes that informal employment, one of the major challenges of the Western Balkan labor markets, is still rising in Albania and North Macedonia, but dropping in Serbia. Young men, elderly women, and low-educated workers were most likely to hold informal jobs in 2018. Despite their difficult labor market standing, the employment situation of youth continued to improve, with the youth unemployment rate falling by 3 percentage points to 34.6 percent. The majority were long-term unemployed, ranging from almost 70 percent in Bosnia and Herzegovina to 43 percent in Montenegro. On average, 50 percent of young people worked on a temporary contract basis, affecting 8 out of 10 young workers in Kosovo and Montenegro. Though declining, the share of youth (15-24 years of age) not in employment, education and training (NEET) remained high at 22.3 percent. Below-average rates were reported in Montenegro and Serbia (around 17 percent), compared with the other Western Balkan countries (ranging between 24 and 26 percent). Wages and labor costs were significantly lower in the Western Balkans, compared to the EU, and there has been no clear convergence in recent years. “In addition to the positive though fading momentum in employment developments, the recent trends in productivity and wage growth are worrying and need to be tackled by policy makers to assist both convergence and employment,” concludes Robert Stehrer, Scientific Director of the Vienna Institute for International Economic Studies. The report finds that the taxation of labor income in the Western Balkans is comparatively high for low wage earners and workers with dependents, given the region’s low progressivity and infrequent use of family allowance in income tax regimes. Low-wage earners are at a particular disadvantage in the formal labor market in terms of their net take home pay and the relative high cost of hiring them compared with medium- or high-wage earners. These disadvantages act as additional disincentives to work in formal jobs and for firms to create formal jobs, especially for low-educated, and other low-paid workers. A broad reform of the overall labor taxation system and social insurance might serve as the most promising avenue for the revitalization of Western Balkan labor markets.